Lightning whelks reach a length of 2.5 to 16 inches. Their distinguishing characteristics include their off-white to tan or gray shell with narrow, brown “lightning” streaks from the top of the shell to the bottom. 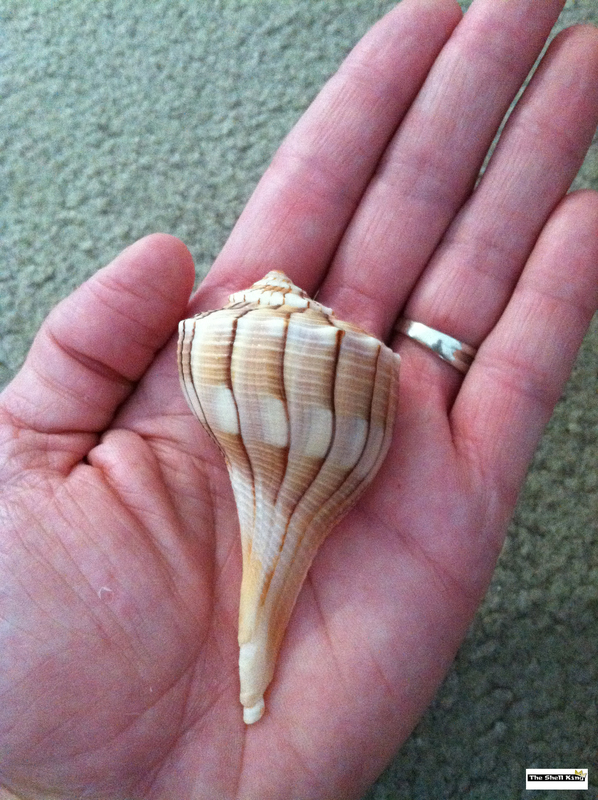 The shell is white on the inside. The animal inside the shell is dark brown to black. Lightning whelks are unusual in that they have a counterclockwise shell spiral.